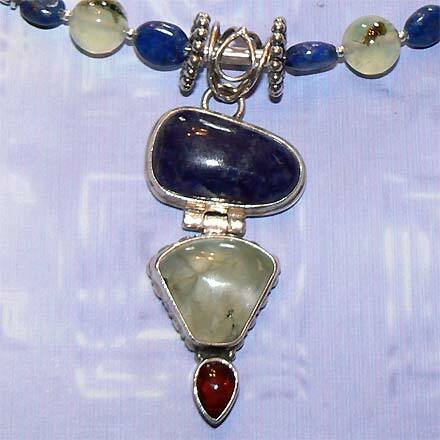 Lapis, Prehnite and Garnet bracelet, necklace and close-up of necklace. 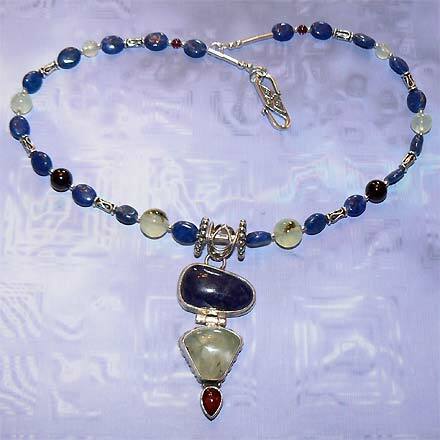 Sterling Silver Lapis, Prehnite and Garnet Necklace. 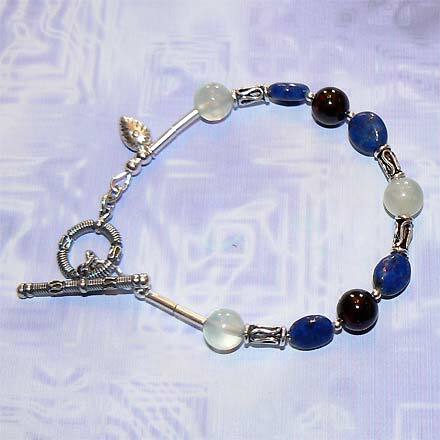 Sterling Silver Lapis, Prehnite and Garnet Bracelet. A unique color combination of light navy blue Lapis Lazuli, dark red Garnet, and luminous yellow-green Prehnite. For those who are interested in Astrological significances of stones, Lapis corresponds with Sagittarius and Libra, and is a traditional birthstone for the month of December, and Garnet corresponds with Capricorn, Aquarius and the month of January.